CT-technologies design, supply and install or delivering world-class solutions for insulation of Cold Stores & Food Processing Plants around the world. Splenor Technology PLC is the representative of CT-Technologies in Ethiopia. CT-technologies was established to provide the market with a full service, independent company able to fulfill all your requirements within industrial refrigeration ranging from engineering and design, supply of components only to complete turnkey plants, spare parts, installation, service and training. Our company philosophy is that every project and client is unique, and should be treated as such. At CTtechnologies there are no standard proposals or solutions. Your requirements are the basis upon which our proposal will be prepared through an interactive process, where you are an important part. Our staff at CT-technologies has more than 25 years international experience within industrial refrigeration, experience also gained from on-site work in numerous countries. This experience is at your disposal, and your guarantee that the proposal elaborated is professional both from a technical, economic and environmental point of view, adapted to your requirements and local conditions, applying the latest technology available designed for the future. CT-technologies selects and cooperates with a range of well-known suppliers to be sure that no compromises are made in terms of design, technology, material selection, or on-site construction. All cold stores will comply with local regulations. If required, a cold store solution can be designed to any national standard or international standard. CT-technologies can assist in developing, delivering, installing and servicing ice productions. Whether it is a factory installation or a mobile application, CT-technologies has the necessary knowledge to make the project a success. We perform turnkey solutions, delivering buildings, machines, handling equipment and installation or we can upgrade or expand existing plants. Below is an illustration of a containerized mobile ice plant. The benefit of this particular solution is to achieve a complete selfcontained package, ready for supply of power and water. Easy to move and install to different locations whenever needed. If there's one particular industry that's linked to refrigeration, it's the beverage industry. The cooling process and refrigeration are keys to proper fermentation and germination, to product consistency throughout the production process, and to the delivery of a wide range of beverages to the consumer. production must be kept clean and without any pollution from the refrigeration system, as just a small leakage can ruin the production. CT-technologies is specialized in dealing with the requirements and demands for safe and energy efficient refrigeration equipment and piping. Stand alone refrigeration lines for each beverage production line can be useful but also expensive. CT-technologies also provides PLC-based systems with full setup for several production lines with just one access point to all of it. Setting up computerized systems to measure, control and log data in the refrigeration, is part of the standard quotation in 95% of the cases. To reproduce the ideal conditions of maturity and storage for every type of cheese (fresh, with herbs, goat cheese, mold-ripened cheese, up to Parmesan and sheep cheese) avoiding mold, bacteria, loss of weight and discards: based on these fundamental principles, CTtechnologies has developed it refrigeration equipment “Air Clean”. The complete climatization of the cheese factory, including production and packing rooms, is installed with highly hygienic, washable and sanitizable systems with personalized air ventilation. The thermal treatment of beverages and in particular of milk and dairy products requires large cooling capacities and low costs. For those sectors, CT-technologies provides cooling systems that operate with ammonia and ecological gases, with high yield equipment for the production of cold water, “ICE-BANK” with stainless steel tanks, fast cooling and solidification tunnels, sterile climatization rooms for bottling. Meat and poultry production continues to increase to meet worldwide demand, and technology has created a wider range of usage for meat and the ability to transport meat products around the world. Refrigeration and temperature control are vital aspects throughout this entire process, which requires extremely hygienic conditions and compliance with strict government regulations and standards. The object of using refrigerating equipment in the meat industry are, principally, two; first and foremost the object which is pursued throughout all industries concerned with food, to delay bacterial growth and secondly to improve the consistency of the meat so as to facilitate cutting and other processing, because freshly slaughtered, non-cooled carcasses are difficult to handle. CT-technologies is a leading supplier of refrigeration equipment that provides meat processors with reliable performance for processing, storing and delivering quality meat products to the buying public. CT-technologies produces refrigeration equipment that operates with ammonia, ecological gases and glycol, quick slaughtering tunnels, cooling chambers to keep the best organoleptic qualities of the products, washable climatization with fast drying of the rooms, 0- systems for room sterilization. To store cured meats, according to the best traditions, is an art; to produce equipment’s that reproduce, in the best possible way, the ideal conditions for drying and storing cured meats is a task that CT-technologies has learned to do with enormous experience. It is extremely important to obtain a perfect preservation and to keep the original freshness of fish and seafood. CT-technologies produces refrigeration systems for fish and sea food, freezing tunnels and chambers to store frozen products, conditioning for elaboration rooms with air ventilation and filters. A good preservation of fruit and vegetables is obtained with cooling equipment that keeps the correct values of humidity in order to avoid the decay of products and to guarantee freshness, aspect and quality. CT-technologies besides the preservation equipment that operate with ammonia, ecological gases and glycol, produces installations with “controlled-atmosphere” to survey metabolism: color change in citrus, ripening of bananas, preservation of table grapes, over ripening of grapes etc. A number of fully washable cooling equipment, particularly apt for the UV gamma, has been installed for vegetables. CT-technologies is capable of, and has years’ experience, in supplying and selecting the best industrial refrigeration equipment from the industry’s leading manufactures. CT-technologies can supply these components stand alone, as a product delivery, but is also capable of developing and installing complete solutions and turn-key projects. Compressors are the heart of every refrigeration plant; its main task is to compress the refrigerant making for a continuous refrigeration cycle. CTtechnologies represent many compressor manufactures, and below are a list of the brands we're most proud to represent. Vilter Manufacturing provides a complete line of compressors for industrial refrigeration and gas compression including reciprocating, single screw, and twin screw compressors. The Sabroe name and the Sabroe polar bear are recognized throughout the world as symbols of strength and business integrity. Backed by more than a century of experience within the refrigeration business Sabroe products (reciprocating compressor, screw compressors, chillers and control systems) are recognized all over the world for their efficient operation as well as their durability, reliability and safety, even under extreme conditions and loads. Since 1934, the name BITZER has been synonymous with the highest degree of reliability and product quality. What this means is responsibility and dedication – and the widest spectrum of services as well as state-of-the-art manufacturing technologies. So you can be sure that every system runs steadily with BITZER products. A condenser is an important component in a refrigeration system. Its foremost task is to condense the high pressured refrigerant to back into liquid form. This can be achieved in many ways depending on the application and the resources available. CT-technologies operates with three main types; Air cooled condensers, evaporative condensers and water cooled condensers. Thermokey comprise finned pack heat exchangers, air condensers, liquid coolers, unit coolers, shell and tube evaporators and condensers and brazed plate heat exchangers. Evaporative condensers make use of the desirable properties of water; one of nature’s most abundant cooling media, to provide cooling solutions for air-conditioning and industrial refrigeration. In most areas of the world, water is abundant, and its "latent heat” or ability to reject or absorb large quantities of heat through evaporation (latent heat of vaporization) make it ideal for these applications and enables the refrigerant to be cooled to a lower temperature compared to dry cooling which solely relies on ambient air. Since its founding in 1938, BALTIMORE AIRCOIL has specialized in the design and manufacture of evaporative cooling and heat transfer equipment, and has become a world leader in this field. BAC's continuing program of research and development has produced many innovations which have evolved to become the standards of the industry. All Thermokey condensers are developed and manufactured in cooperation with international certifying institutions. Air coolers are an important component in the refrigeration system. They circulate the air in the cold room or store while cooling it in the process. Air coolers can be separated into two categories: evaporative and liquid cooled. An evaporative cooler, or evaporators, utilizes the evaporation energy in the refrigerant to cool the air while evaporating refrigerant. Liquid cooled evaporators uses a liquid i.e. water or brine to cool the air while heating the liquid. Valves and controls are essential components in a refrigeration plant. Not only is valves used for isolating parts of the plant, they are also used for the control and continuous running of the plant during variable loads. Good valves and precise controls are paramount for running a refrigeration plant optimum for years to come. Danfoss operates globally as a leading supplier of compressors and automated solutions to the refrigeration and air conditioning industry. Danfoss' product range is among the most complete in the world and is used within a number of business areas, ranging from household-, commercial-, food retail, and industrial refrigeration to air conditioning and products for the wholesale refrigeration market to automation in specific industrial sectors. CT-technologies provides a wide range of chiller units or packaged refrigerators. These units are complete self-contained units to chill water or brine, either by air or water. During these years, the activity of Emicon has been developed with the production of liquid chillers for air conditioning and industrial applications, close control units, heat pumps, roof top and, thanks to its considerable production flexibility, special tailormade units. Emicon realized worldwide important and prestigious supplies for Great Works, Data Centre, and Banks. Particularly interesting are the air conditioning systems for Museums and Art Galleries, where the need of preserving high value works requires very sophisticated air conditioning solutions. The Sabroe range of packaged ammonia chillers provides indirect cooling using natural ammonia (R717) as primary refrigerant in conjunction with a wide selection of secondary refrigerants, including water, calcium chloride, propylene glycol and ethylene glycol. Ice is not just ice. Ice comes in many forms; each form has its own advantages and applications. We know that at CT-technologies and can supply you with advice and support in selecting the right ice maker. EVE range is the winning proposition for the industrial applications, covering the storage, processing and transportation needs of the fishing, meat, poultry, dairy cheese, bread & biscuit industries, plus the many chemical, textile and mining industry applications. We define Scotsman Industrial Line as stainless quality because EVE machines are built with the strongest components, starting from the evaporator, the heart of the ice-making system, where highgrade, AISI 304 stainless steel, and at a thickness that superior performance becomes evident even in the most challenging and extreme conditions. All of the other components simply testify to the commitment of reliability. The highest quality and durability parameters are matched and surpassed. Vogt revolutionized the commercial ice-making industry in 1937 when it built the world's first automatic sized ice machine, the Tube-Ice Machine. Prior to this, ice was made in block form. Today, Vogt ice machines offer a wide variety of ice to suit any of your ice needs including fragmented, cracked, crushed, flake, and of course the original Tube Ice in an assortment of sizes. We also manufacture the Turbo Ice Rake, manual and automatic block presses as well as falling film chillers. Ice handling equipment binds the refrigeration system to the customer’s processes and makes sure the ice ends where it is needed, when it is needed. Conveying systems takes care of the ice transport fast, efficiently and ergonomically. Ice storage enables systems with smaller capacity to handle peak loads. HvideSandeSkibssmedie produces and install custom build ice handling and making equipment of exceptional high quality. HvideSandeSkibssmedie have gained a high level of expertise and experience over 25 years with ice making plants to user's individual wishes and requirements. This is a vast product area where the perfect solution highly depends on the product and the production line which it shall fit. Marel's vision is to be an international leader in developing and marketing high-tech processing equipment for the food processing industry in order to increase the productivity of Marel's customers. The company has always maintained its vision of leadership in the design of weighing and grading equipment, computer vision systems, intelligent portioning machines and total-solution processing systems. CT-technologies after sale service is a multitiered system starting with spare parts, being the basis of our service setup. CT-technologies provides a comprehensive range of spare part for all major brands of refrigeration components. responsibility for the continuous up time of your refrigeration plant. The service program is illustrated on the diagram below. Service on demand is CT-technologies basic level of service. Whenever you as the customer need our support for maintaining, repairing or optimizing your refrigeration plant, we at CT-technologies are able to help you out. All of our personnel are specially trained, has many years of experience in maintenance and supervision/commissioning, as independent and skilled engineers. CT-technologies provides Service on Demand regardless if you are asking for help with equipment provided by CT-technologies has well as equipment provided by others. Service agreement is CT-technologies next step in supporting you as a valued customer. A service Agreement is made for regular service in part of, or in total refrigeration plant setup. intervals. Also the service agreement commits CT-technologies to provide you with documentation for each planned service visit. Price according to actual spent time and actual supply of spare parts and materials. The service contract is very similar to the service agreement. The Service Contract is made with a fixed price, including spare parts needed for the regular service intervals. Also the contract can be signed for up to 10 years. Within the contract, spare parts for regular service intervals are included. You work with one supplier of entire set of materials for insulation, which bear responsibility for entire supply. This is much comfortable as to work with several different supplies, which often can not quarantine materials selection specifically for your project and supply of all accessories of installation. Thanks to many years of experience with the leading European producers, CT-technologies can offer its customs the competitive prices, often even taking into account transportation to Russia. Quality of supplied materials is a basis of our business. We cooperate only with producers, production of which we know well thanks to many years of use in our projects, and which we can recommend to our customers. 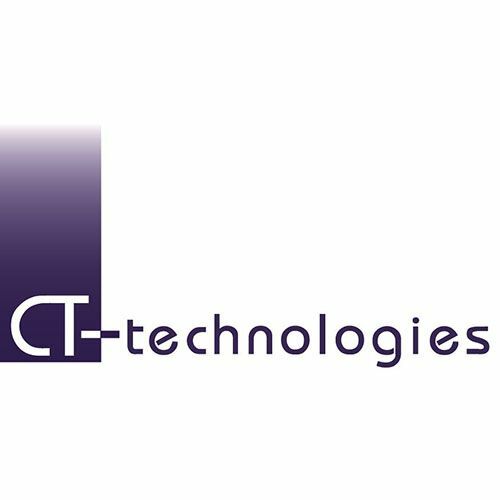 CT-technologies have a staff of skilled employees, including engineers, projects managers, logistics managers, supervisors and installation workers. We also can offer installation and after sales support with our Russian partners. We have a unique knowledge in insulation and 20-years of experience in technically demanded projects for food industry. While choosing CT-technologies, you work with professional partner which ensures quality of works. 80 Nguyen Dinh Chieu, District 1.